Here is the fourth in a series of West African reports from guest blogger, Louise Roenn. 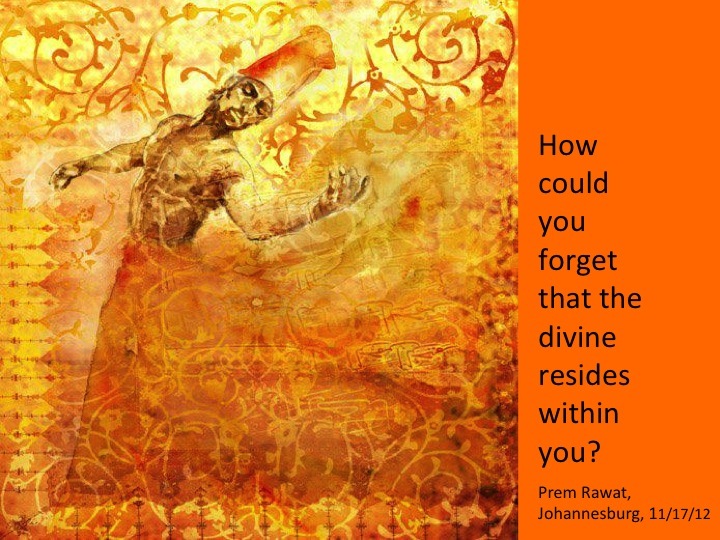 If you have ever seen videos of Prem Rawat's events in West Africa, you probably can recall moments when the audience enthusiastically waved their handkerchiefs as they danced and cheered upon his arrival. But yesterday, actually being right there in the middle of this extraordinary West African welcome, was like nothing I have ever seen or felt before. 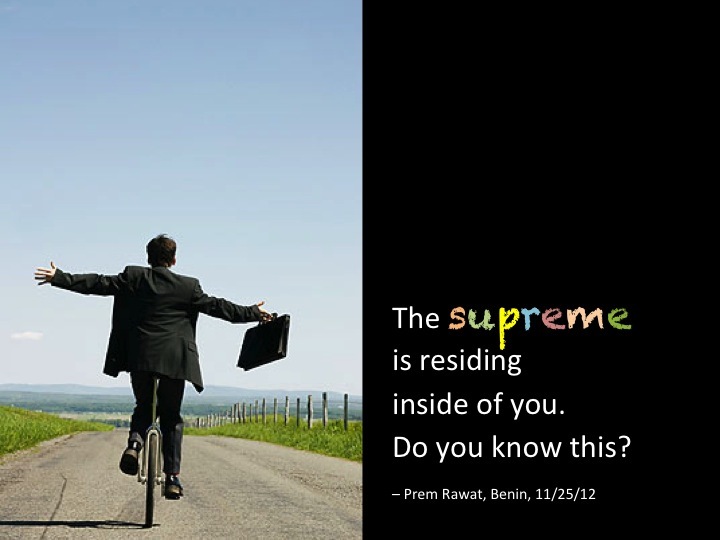 The joy and excitement coming from the audience was so loud that I wondered whether the roof of the hall would blow off as Prem Rawat made his entrance. 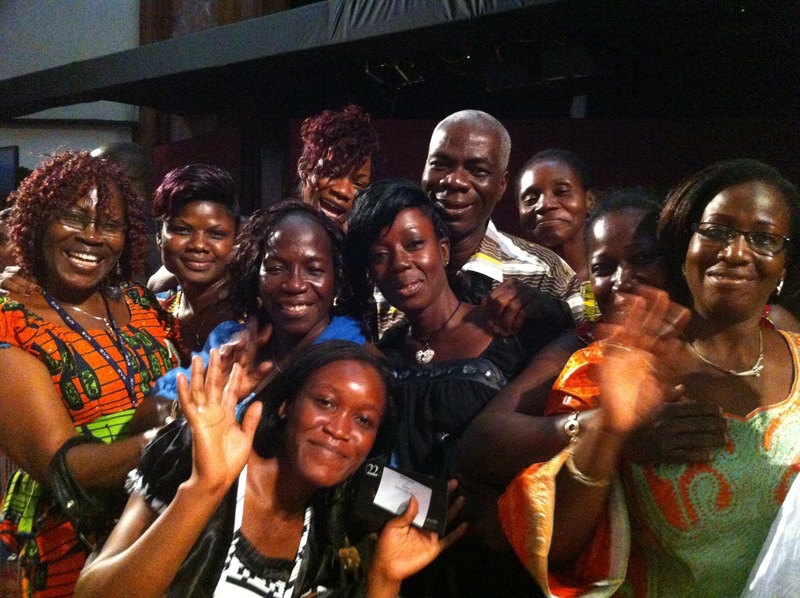 "I am very happy to be back in Ghana," Prem Rawat exclaimed after a minute of handkerchief waving, stamping, and cheering from the audience. "It's been a long time. 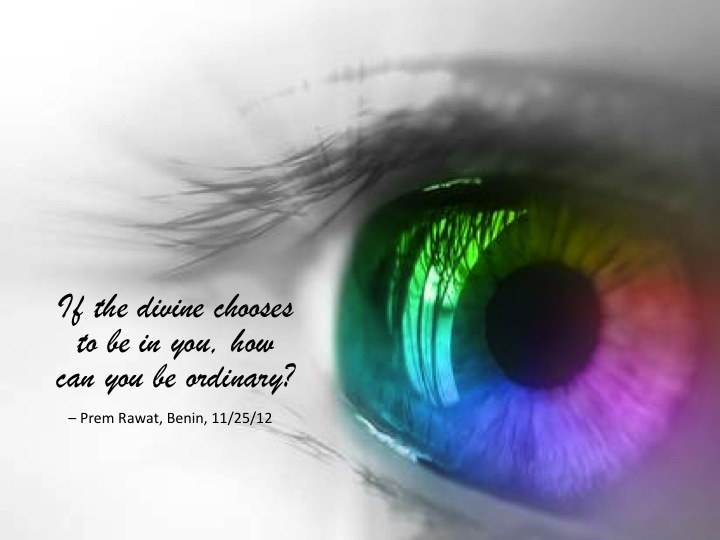 But now I am here." It has been nine long years since the Ambassador of Peace last touched down in West Africa -- one more reason why today's event has turned into the party of the decade. Just before the event started, three tall men wearing huge, ceremonial robes and even bigger gold bracelets and rings were seated in the row right in front of the stage. 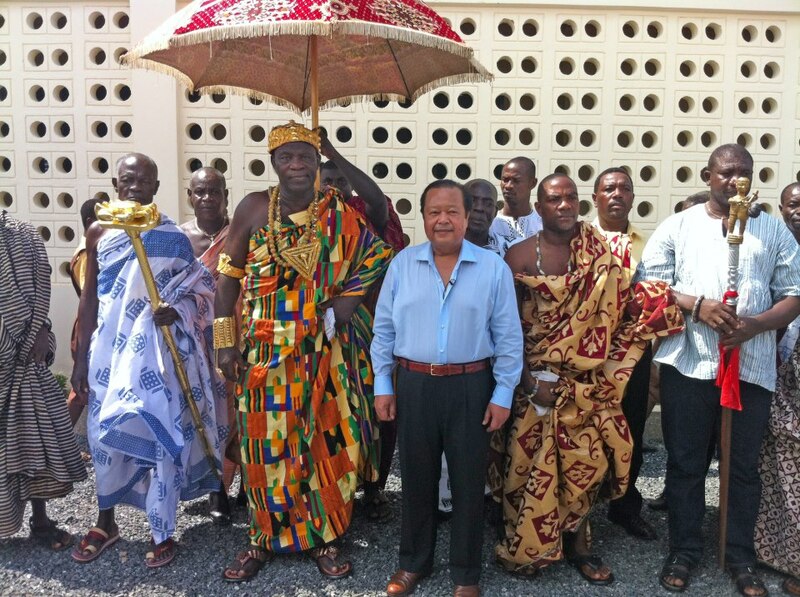 They were, I later found out, chiefs sent by the King of the Ashanti Empire. 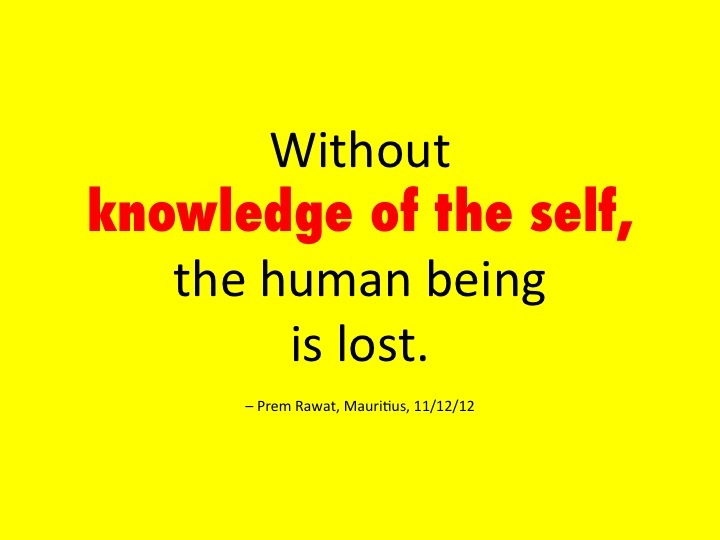 "I had never heard about Prem Rawat prior to this event," explains Chief Nana Adu Mensah Asare. 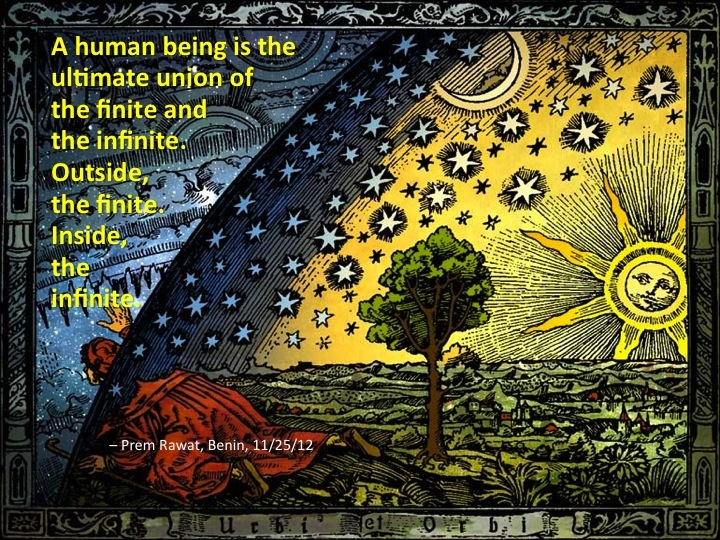 "But we are so impressed by his message and his work. 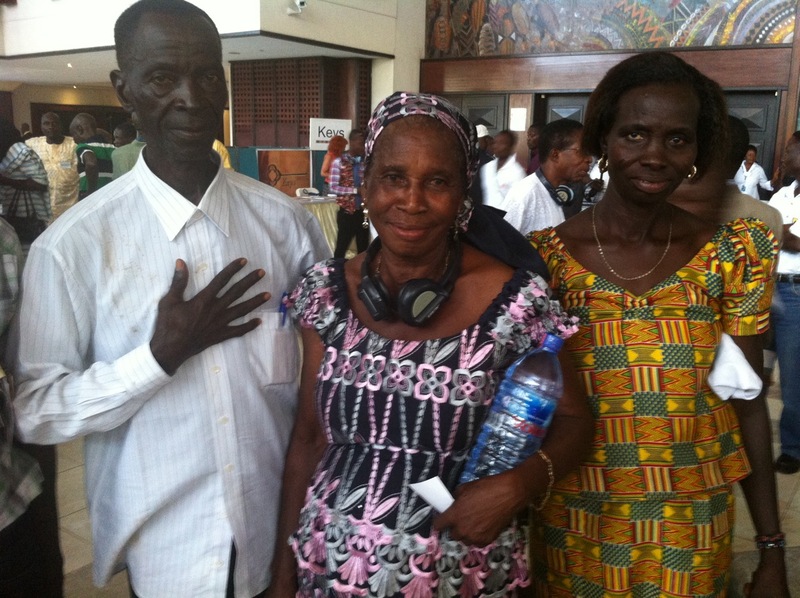 This peace is not just for Ghana, it is for all people of the world." 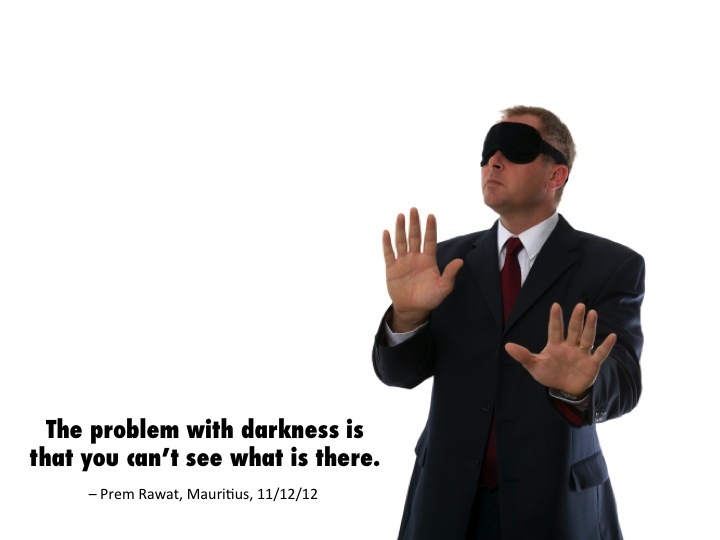 The third in a series of reports, by Louise Roenn, from Prem Rawat's events in Africa. The lobby of the Gallagher Convention Center, in Johannesburg, is packed with the most diverse audience I have ever seen at one of Prem Rawat's events. 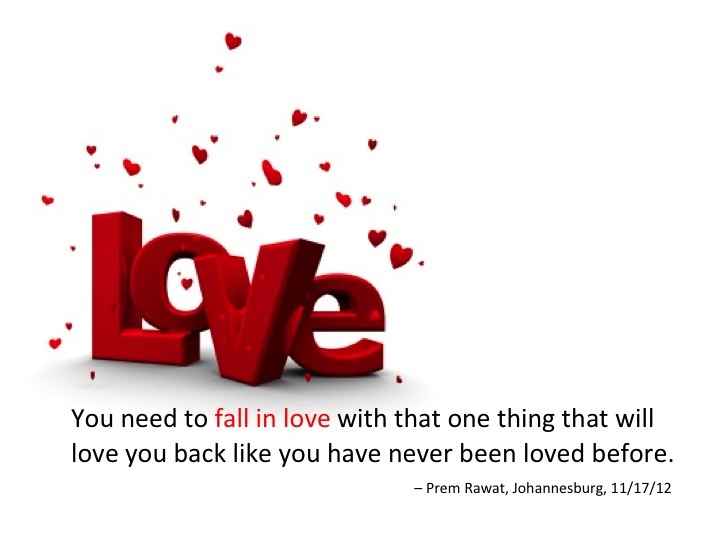 2,200 South Africans dressed in saris, indigenous African robes, suits, summer dresses, and surfer shorts have arrived to hear Prem Rawat address this rainbow nation in person. 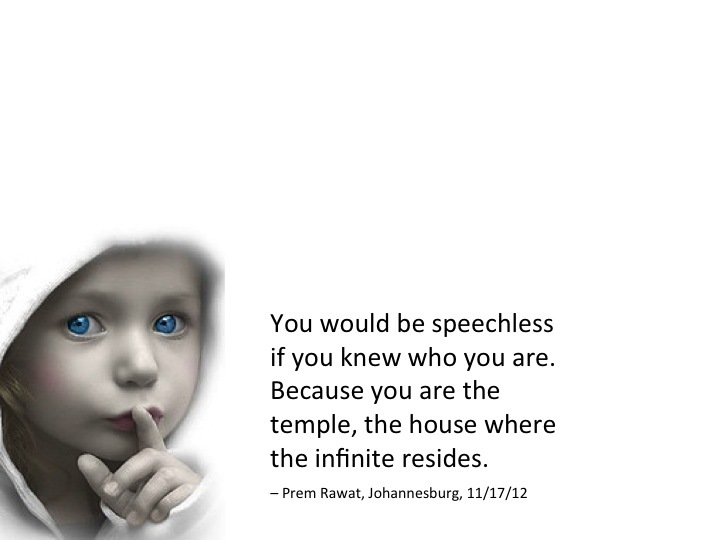 Since his first visit to South Africa, in 1972, and all through the years of apartheid, Prem Rawat has consistently reminded his audiences to go beyond color, religion, and race so they can look at each other as human beings. Winifred Rampa has traveled from the Johannesburg suburb, Soweto, to see Prem Rawat for the first time. 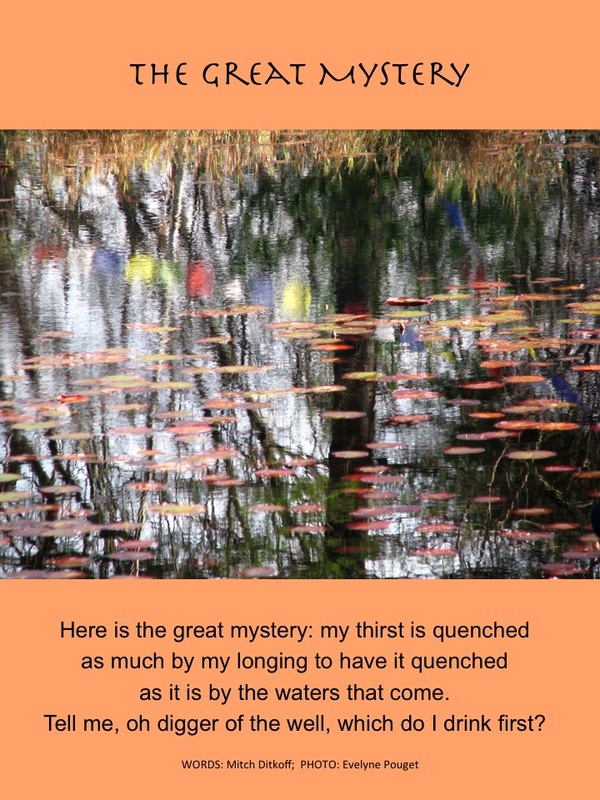 She first heard about his message in a book she inherited from a cousin in 1986. 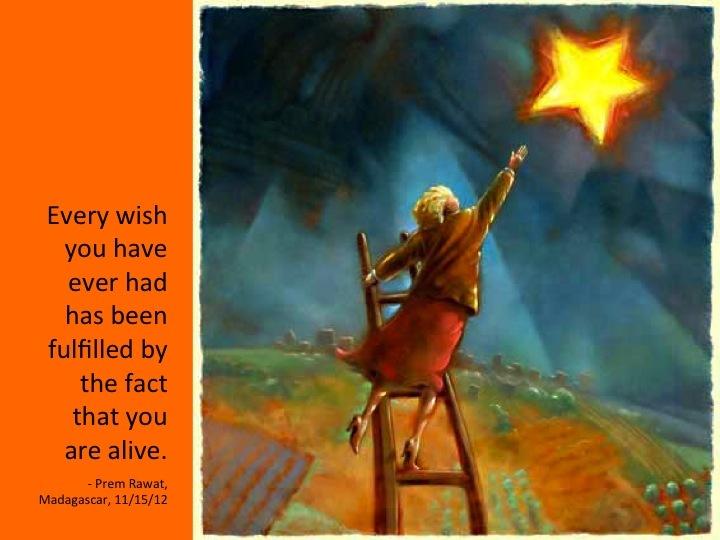 "When I read the first page," explained Winifred, "it hit me. This man is speaking my thing. 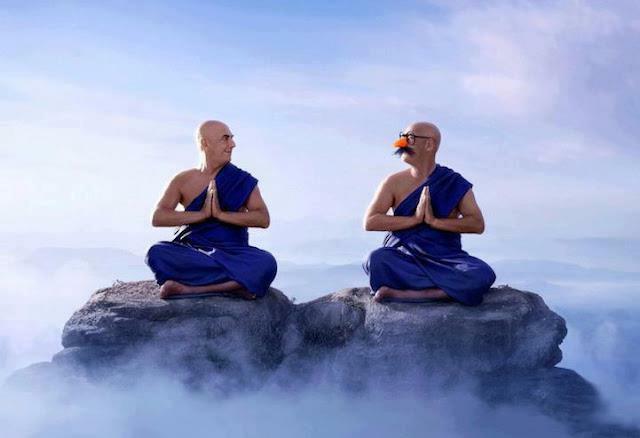 Through my religion, I had been taught that I had to die in order to be at peace. 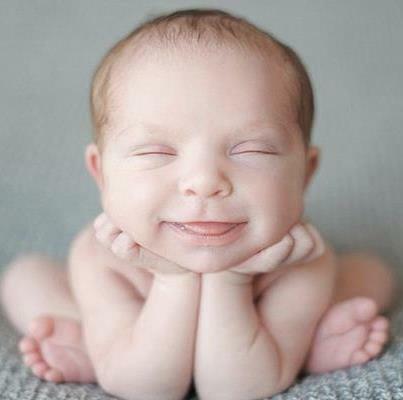 But now I know that peace exists here." Thembi Madliwa, a resident of Cape Town, has been listening to Words of Peace TV, every Sunday, after church, on channel Cape TV, since 2011. 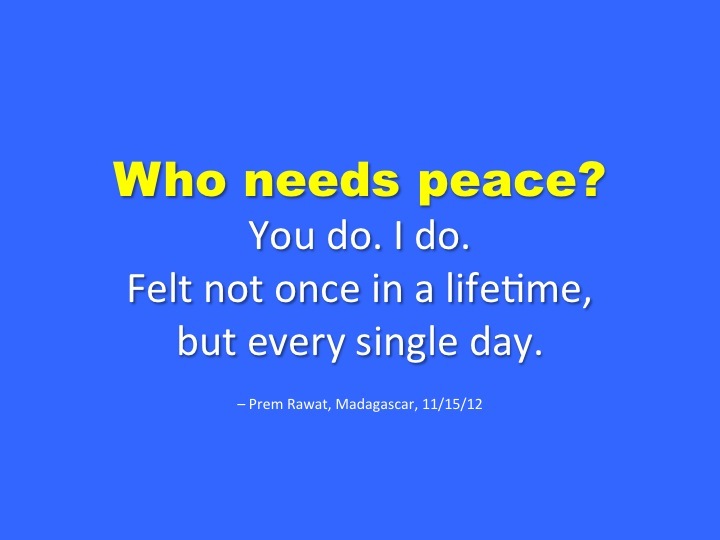 "Prem Rawat tells me about this peace that is within us. 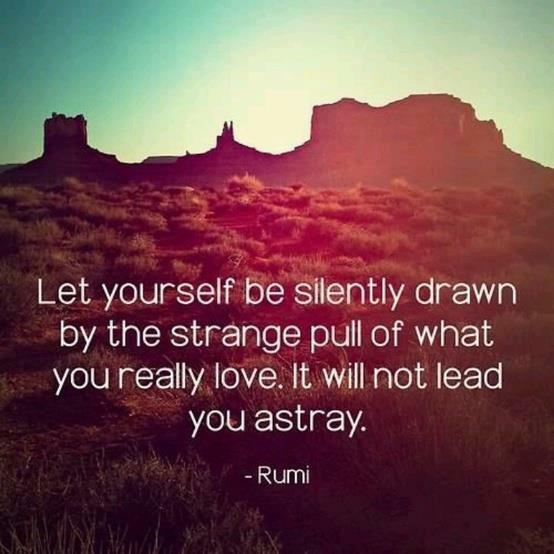 For me, it is a journey that takes time. 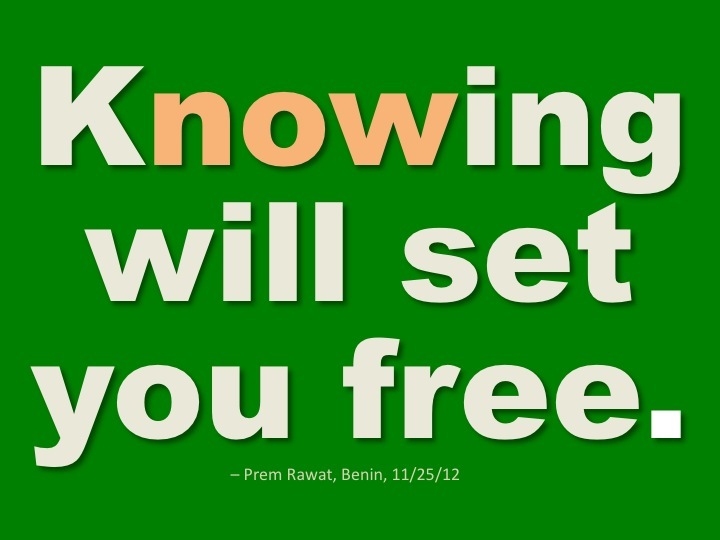 The work that Prem Rawat is doing cannot be compared to any leader I have ever known. 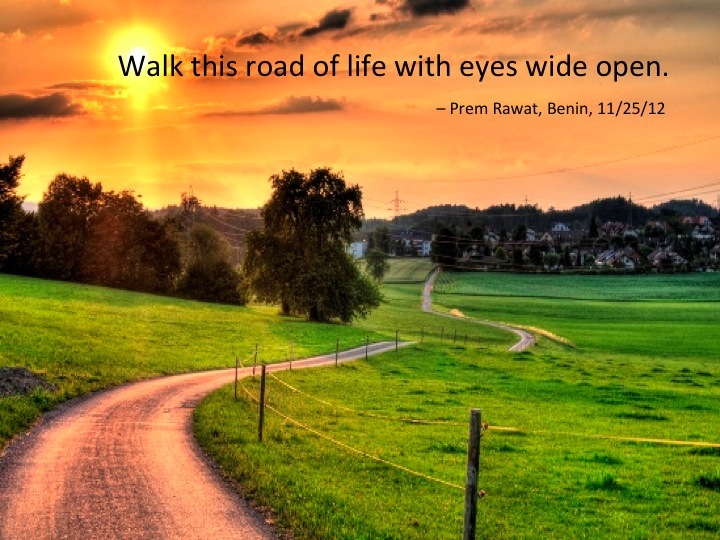 My wish is that there could be more Prem Rawats out there, and that people will listen to his TV program." Photo 1: Winifred Rampa (left) and her friend, Usha, in the lobby prior to the event. Traveling guest blogger, Louise Roenn, checks in with another onsite report from her series of "Into Africa" posts. 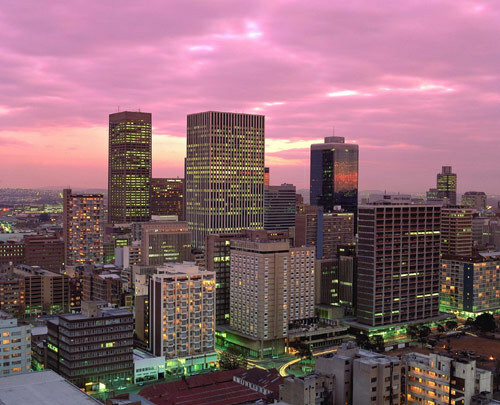 Next stop: Johannesburg. "I've been waiting for 30 years to see him in person. Now, he is here!" says a smiling Mbolatiana Andrlamahefarivo in the Carlton Hotel lobby in Antananarivo, the capital of Madagascar. 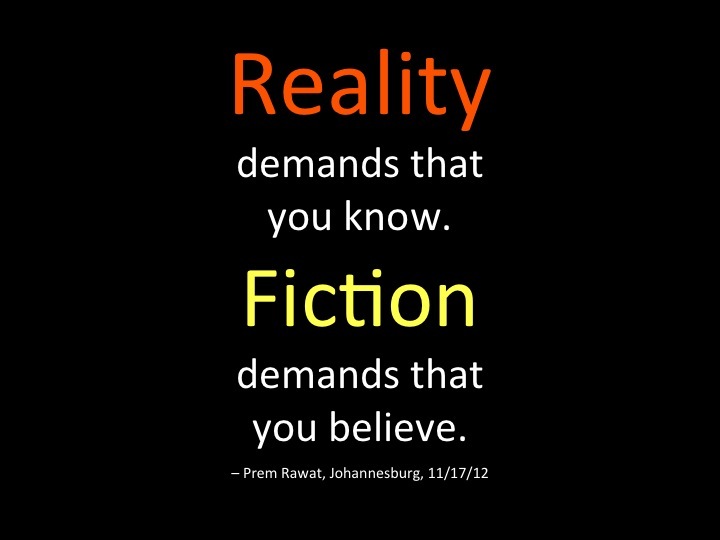 Mbolatiana has been listening to Prem Rawat's message of peace since 1980 and has maintained a strong wish to see him, in person, ever since. Today will be his moment. The lobby, this morning, is buzzing with anticipation and excitement prior to today's historic Words of Peace event. Not only is it Prem Rawat's first visit to Madagascar -- for most of the 450 attendees, it is the first time they have ever seen or heard him live. 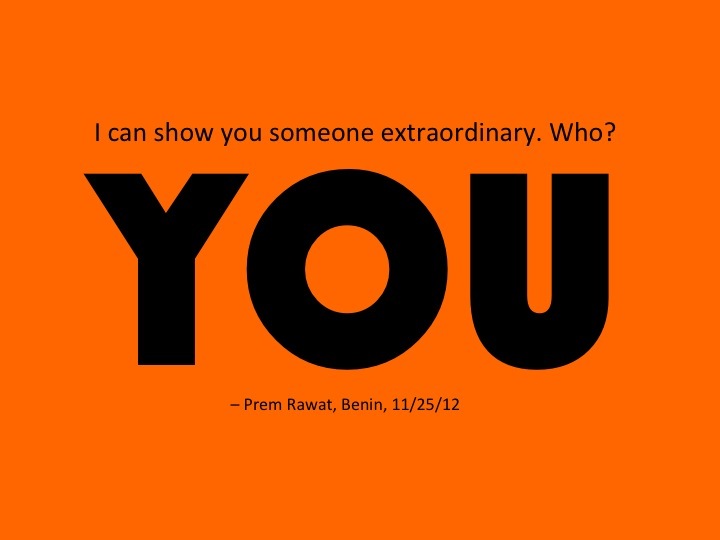 "We want to thank you for coming," an elderly gentleman says to Prem Rawat 30 minutes into the event. "We have been waiting for so long." 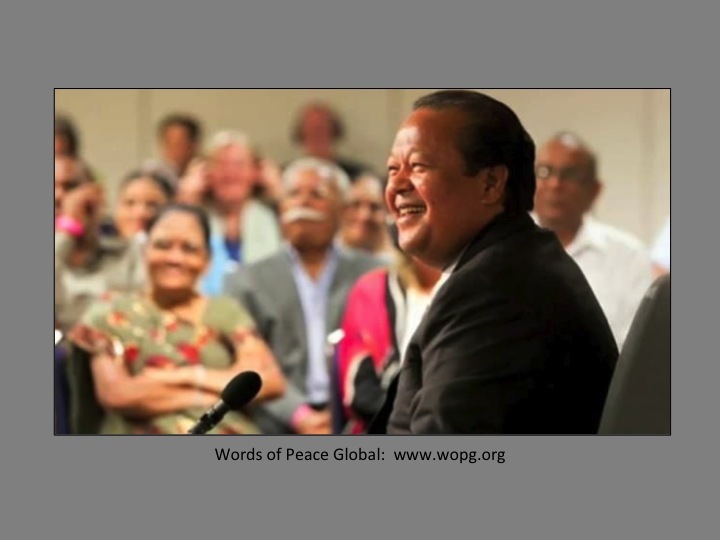 "Because of you, I'm here," Prem Rawat responds, acknowledging the extraordinary efforts made by people everywhere -- both local and half way around the word -- to make today's event possible. Madagascar is one of the poorest countries in the world. The majority of its 20 million inhabitants make less than 2 USD per day. The island is covered by desert, mountains and rain forest, with species, fauna and flora found nowhere else on Planet Earth. Thanks to the generous support from people around the world, Madagascans from even the most remote parts of the island have arrived for the event after days of traveling by bus, train, and airplane. "I know this country is poor, but the hearts of people here are rich. 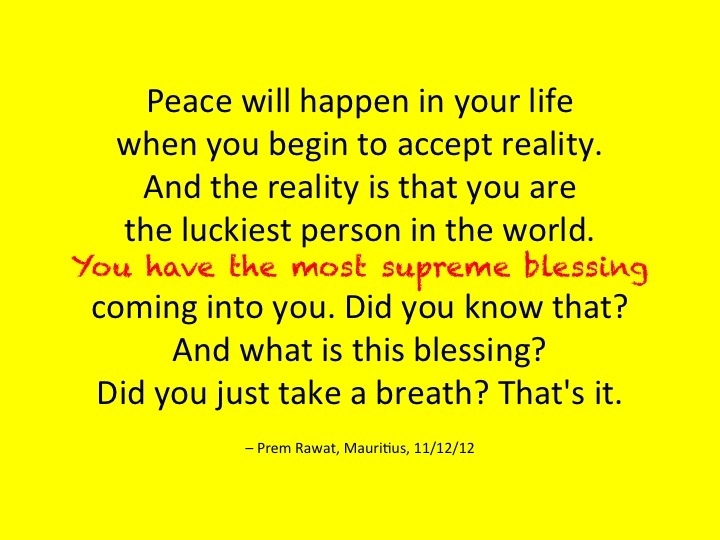 That is the true wealth," Prem Rawat declares to the rapt audience. "I know you are going to go forward, and that wonderful things will happen here after this event." I didn't think the smiles on the faces of Mbolatiana and the other people I met in Madagascar could get any bigger until I saw them after the event. Wow. "We can't find words to express what we are feeling on the inside after this event," two young guys tell me on their way out. "It is one of the best days of our lives." 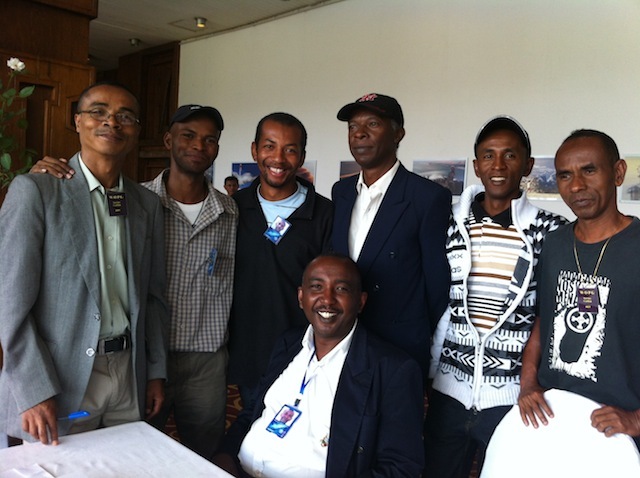 Photo 1: Mbolatiana Andrlamahefarivo (in the middle) and other volunteers from Madagascar. 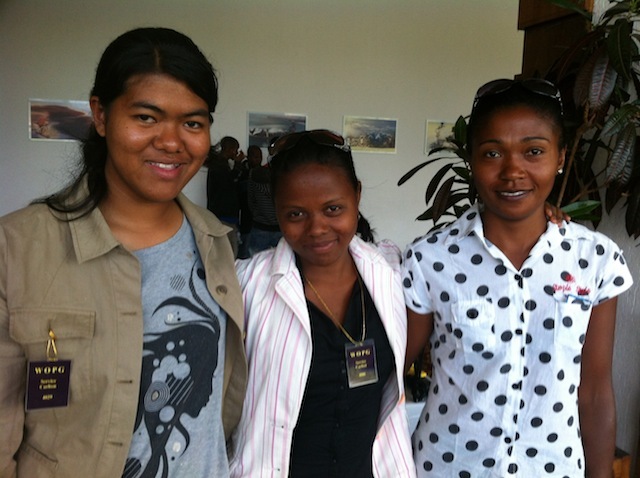 Photo 2: Rozelia Harisoa Antenaina (right) and two friends who helped with seating at event in Madagascar. 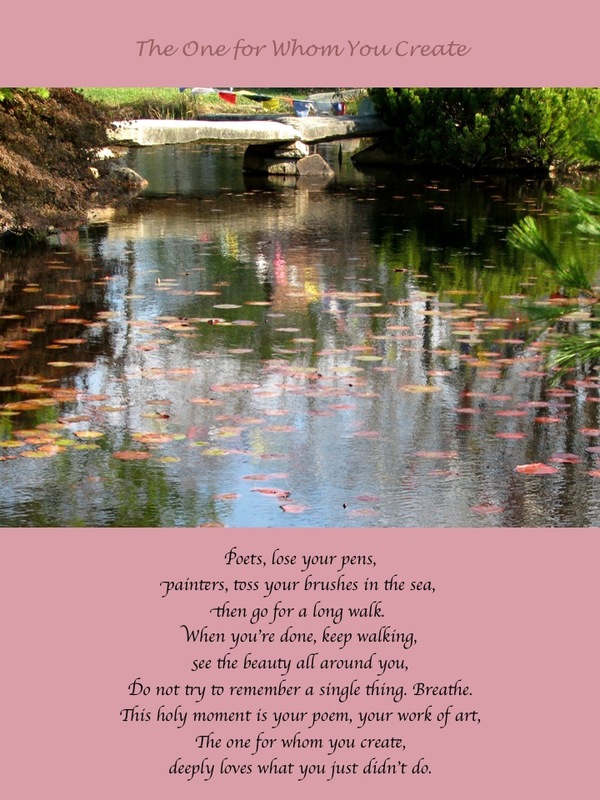 Big thanks to Louise Roenn for gathering these excerpts. 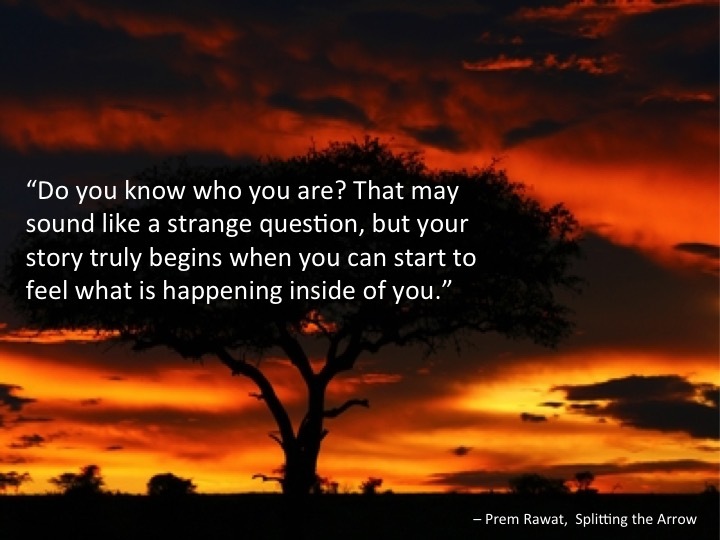 Welcome to Part 2 of Louise Roenn's "Into Africa" series -- reports of her travels to Prem Rawat's events in Africa. "Just because our island has never been to war, we still need peace," explained Veekash Issory, a member of the Mauritian police force. Veekash is one of many people who have volunteered to help produce the Words of Peace event in Mauritius, on November 12th. 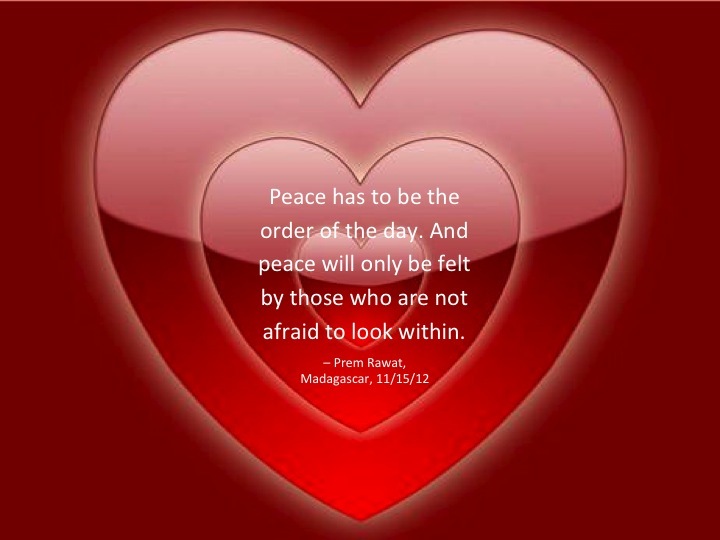 "Even in the absence of war, we still need to feel peace every day," he continues. 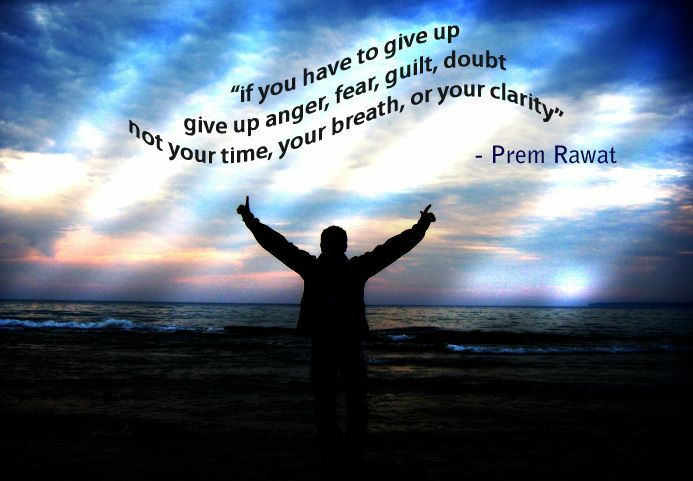 "Prem Rawat and his message remind us of that." 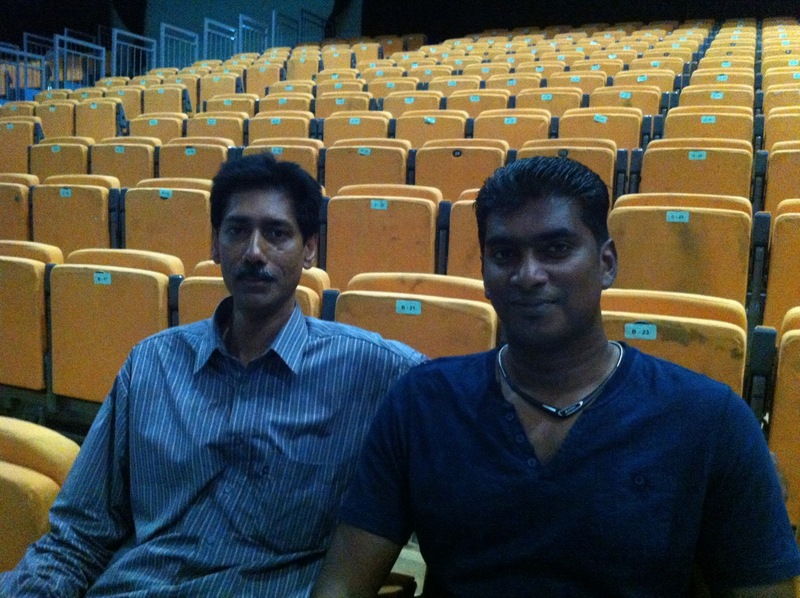 Both of us and several others are now inside the hall at the Swami Vivekananda Convention Centre, in Port Louis, to help set up for the event. Volunteers and staff are positioning plastic chairs, row by row, in front of the stage. "The Hindu holiday, Diwali, starts this Tuesday," Veekash explains. "Ramadan, Christmas, Easter, and many other global holidays are also celebrated here. Diwali is the festival of light. 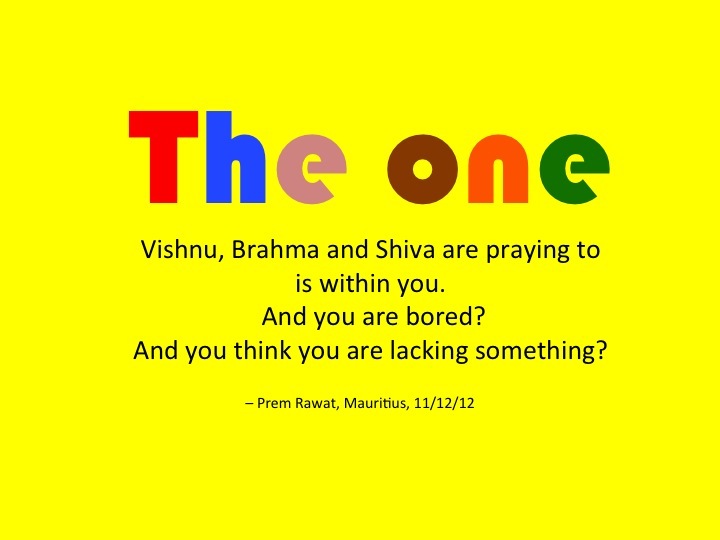 For many people here today, Prem Rawat's visit to Mauritius is the highlight of the holiday season," Veekash adds. Thirty five hundred of Mauritius' 1.4 million inhabitants, representing a multitude of world religions and beliefs, will attend Prem Rawat's event tomorrow and I got a sneak preview this morning, waking up to the sound of Muslim prayers, then, on my morning run, jogging past gardens with statues of Buddha, Hindu Gods, the Virgin Mary, and the crucifix. Upon my return, my host family insists that God created Mauritius before he created heaven. After having enjoyed stunning mountain and ocean views on this paradise island and met so many warmhearted people, I'm starting to think they might be right. 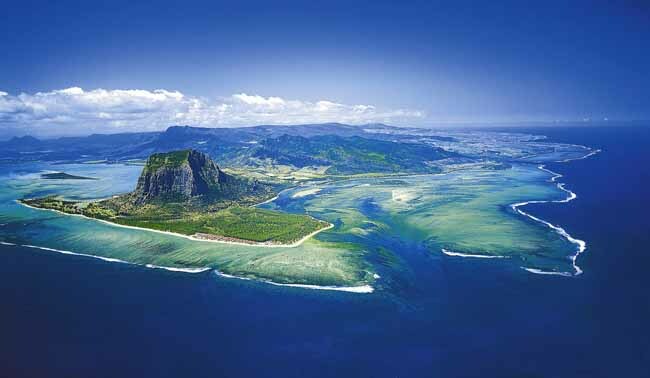 Heart of the Matter's guest blogger, Louise Roenn, has just arrived in Mauritius. 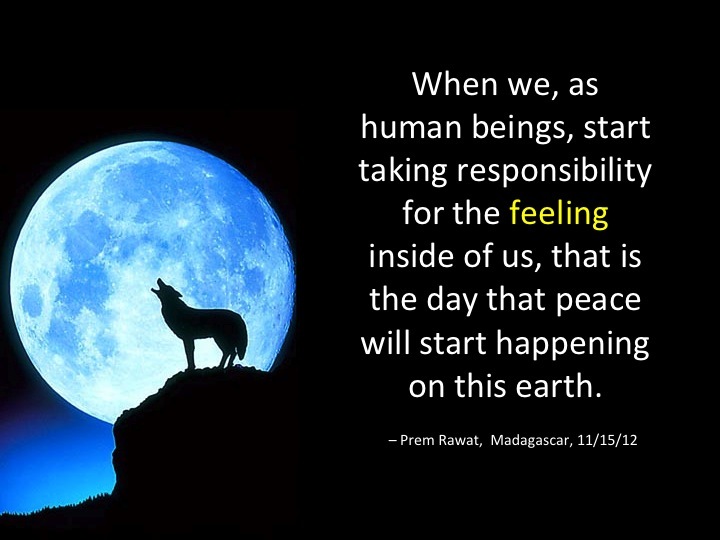 She will be blogging about the Words of Peace Global (WOPG) events, with Prem Rawat, in Africa throughout November. The moment the steam from the black vanilla tea meets my nostrils at 38,000 feet, my past, sweet memories of Mauritius come flooding back to me once again. I haven't tasted this distinctly, local tea since 2008, the last time Prem Rawat visited Mauritius. And I forgot how breathtakingly beautiful the island was as it appears beneath me, rising out of the deep, blue Indian Ocean east of South Africa. "Welcome to Paradise" a large colorful banner announces at the arrival hall. 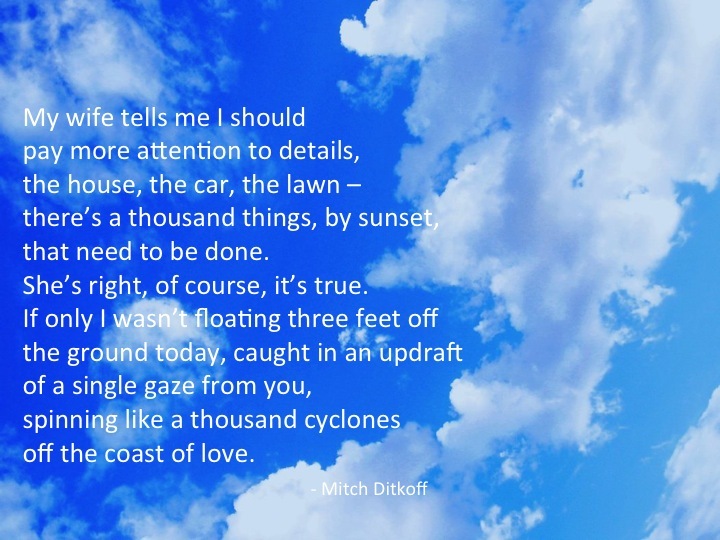 "Four years is a long time," says Roopesh, driving me past swaying sugar cane fields and coconut palm trees to the house where I'll be staying. .
"And yet it feels like only yesterday," I respond, looking at the clear blue sky ahead. Roopesh has greeted me, at the airport, every time I arrived in Mauritius for Words of Peace events in 2005, 2006, and 2008. He always looks the same, only with more glowing eyes as the years go by. "Preparations have really kicked off now," Roopesh adds. "There's only eight days to go before the event. We have a volunteer briefing today at 2:00 pm." We pull up to a large, two-story yellow house decorated with flowers. Roopesh's aunt, uncle, and two cousins live here, in Curepipe, and for the next nine days, so will I. 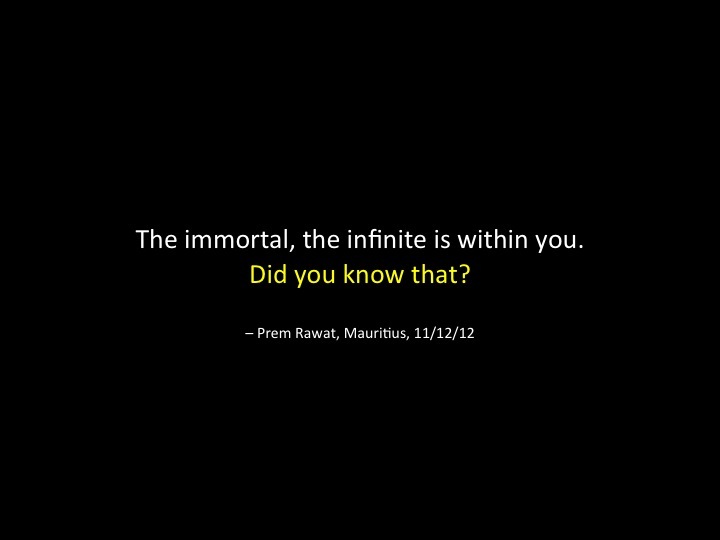 "I've been to all of Prem Rawat's events in Mauritius since his first visit in 1985," Aunt Rani says, pouring more vanilla tea into my cup. 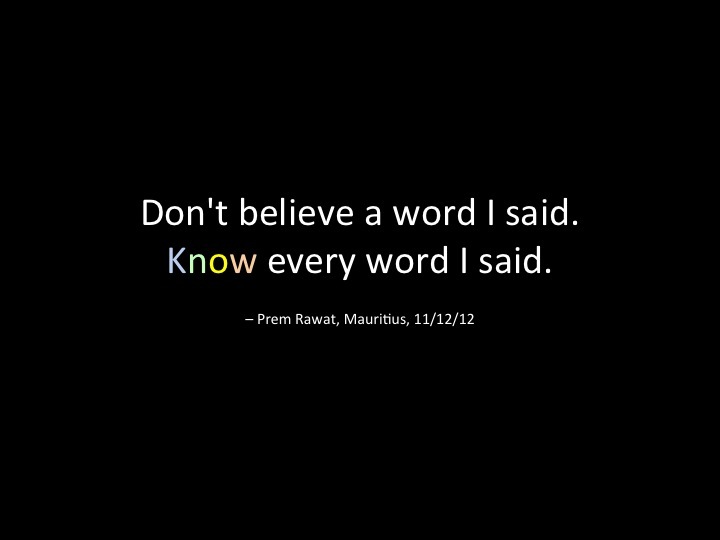 On Sunday, November 11th, Rani, her family, and 3,500 other islanders will listen to Prem Rawat present his message of peace once again, in person. "So what are your plans while you are here, Louise?" cousin Preeya asks. 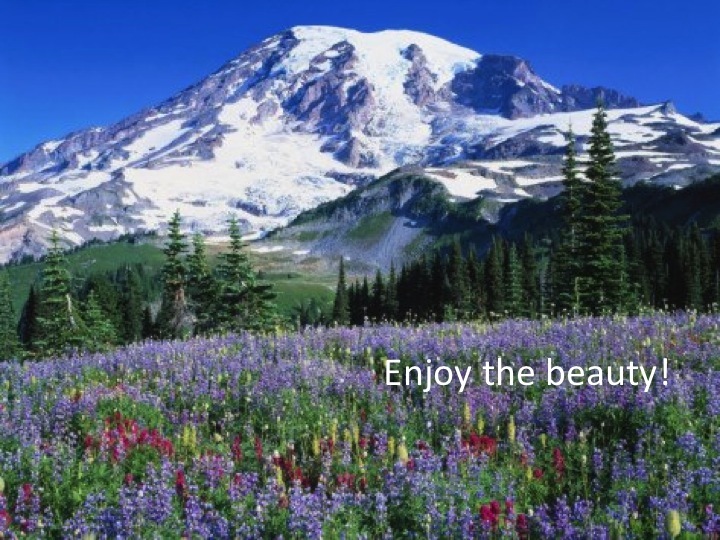 "Other than drink tea with you, enjoy life, and the event? 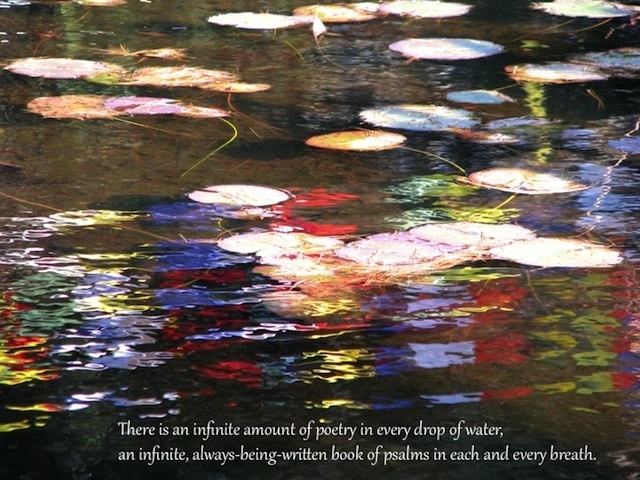 To capture some of the magic, via words and photos, and share it with people around the world," I explain. 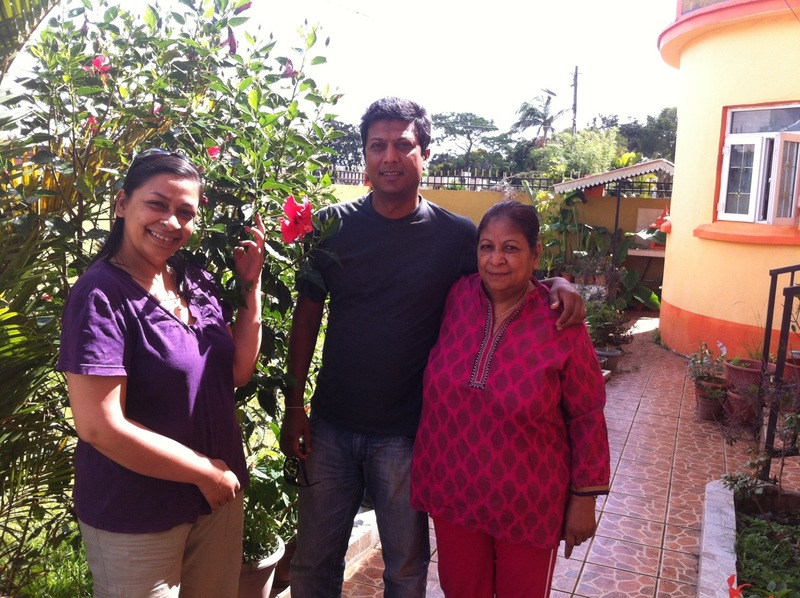 Photo: Preeya, Roopesh and Aunt Rani outside their home in Curepipe, Mauritius, preparing for the upcoming Words of Peace event with Prem Rawat.